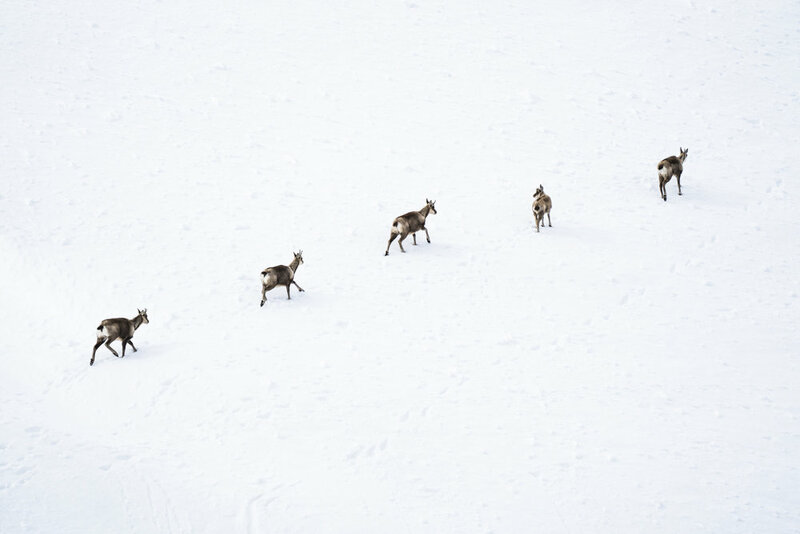 A quintet of chamois walk across a snowy slope. A male Gelada bears his teeth in Ethiopia. 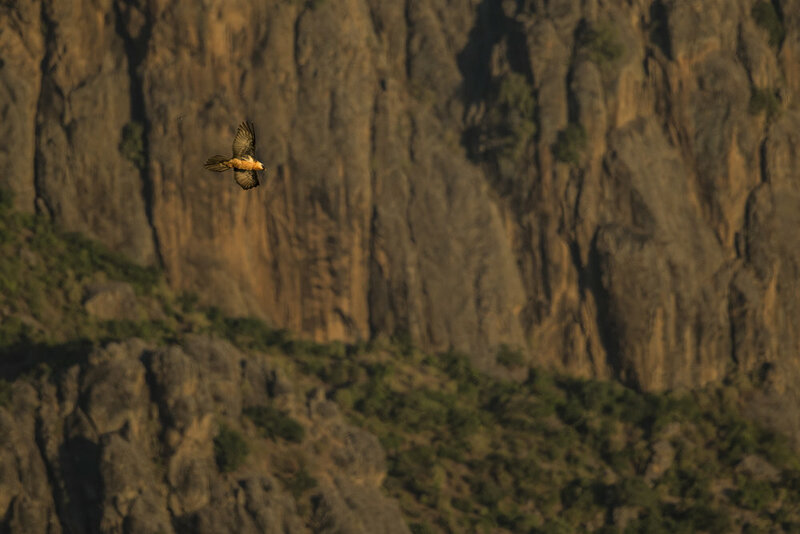 A bearded vulture flies along a cliff edge in Ethiopia. 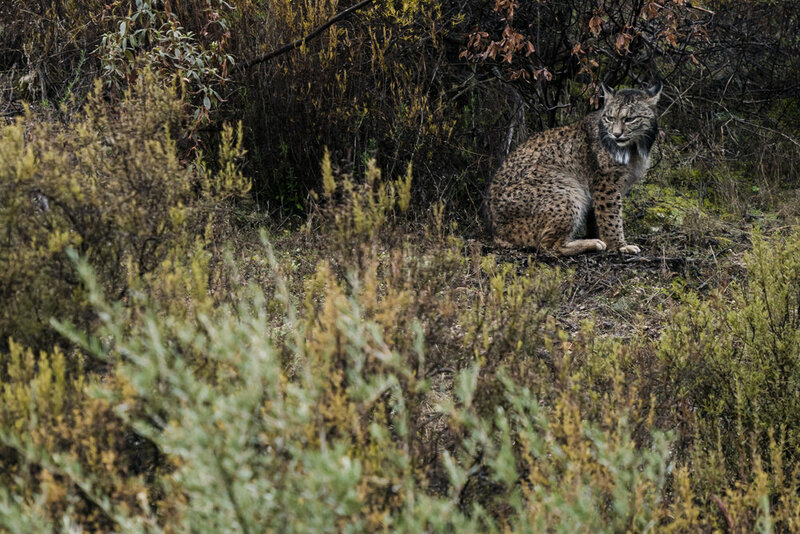 The rarest cat in the world, an Iberian lynx. Alpine choughs circle above the Picos de Europa National Park. Wild mountain goats play fight in the Cairngorms. An Egyptian vulture perches on a cliff top. On the windy peaks of a Panamanian hilltop Golden orb web spiders create a mass of webs to catch windswept insects. Chamois graze on the lichen covered scree. 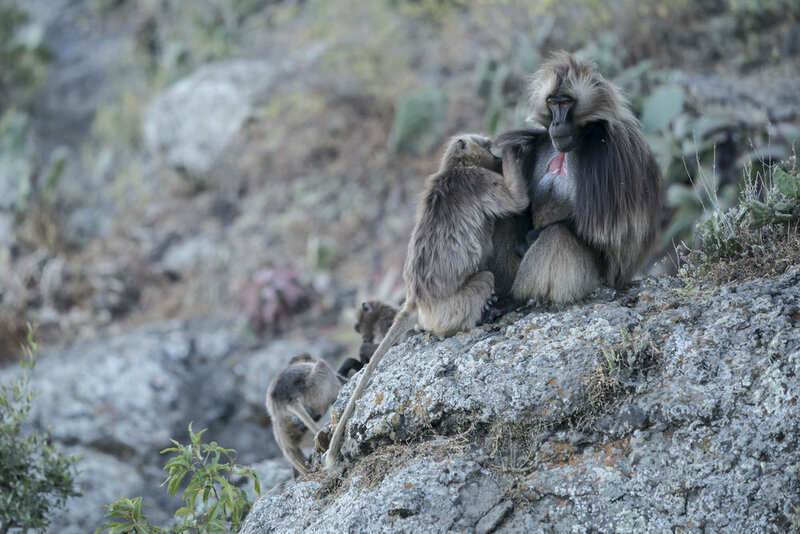 A female gelada grooms a male in Ethiopia. 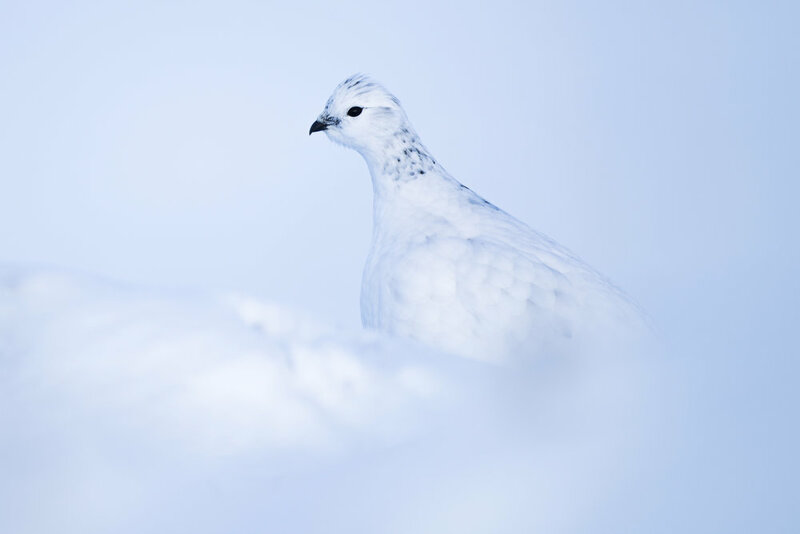 A ptarmigan amongst the snow. 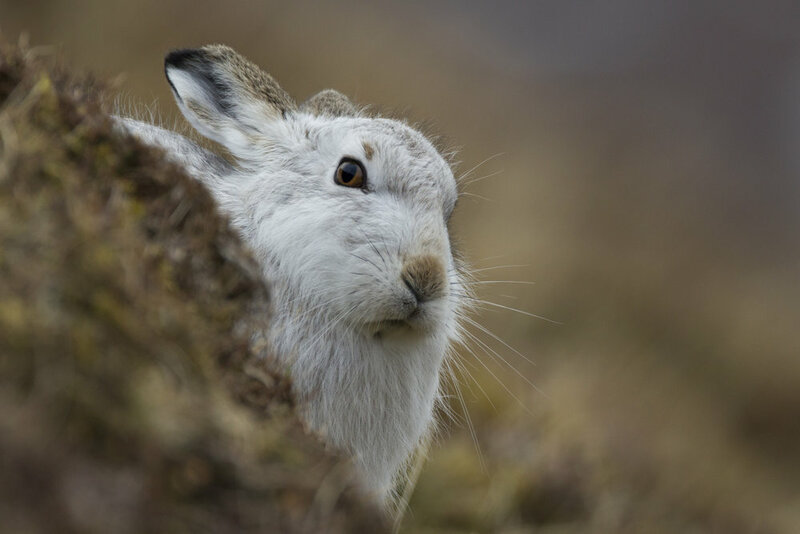 A mountain hare stands out against the hillside. Changing to white fur in winter is perfect for camouflage but only when there is snow. 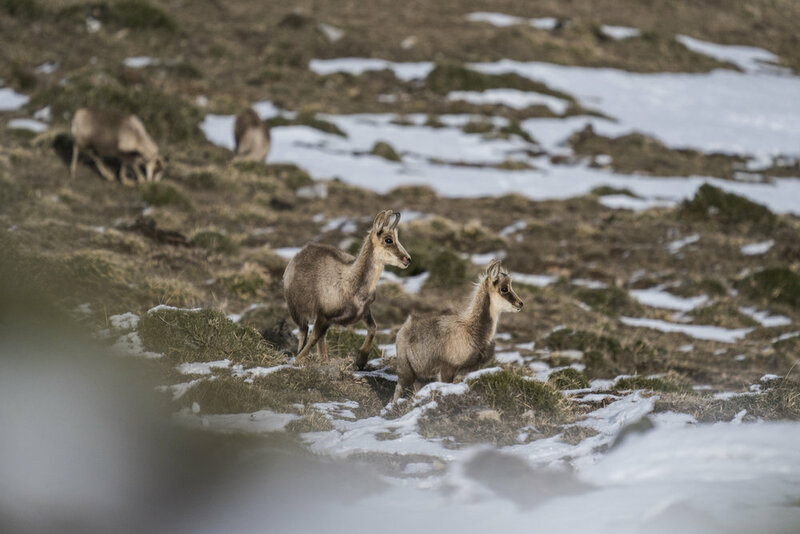 Chamois graze in the Picos de Europa.